I love language. Reading and writing have always been among my strongest skills and interests. I’m fascinated by the richness and evolution of the English language, and how it differs from the other languages I’ve studied. But I’m aware that not everyone has the knowledge and education level that I do, especially when it comes to language about transgender issues. So while I make efforts to educate people about the questionable accuracy and potential harm of certain word choices, I am concerned when people – including some within the trans community – take an overly narrow stance on acceptable terminology. Another trans author and activist, the late Matt Kailey, also discussed this issue regarding the term “transgendered.” He insisted that this construction is grammatically correct, and said that it did not begin to be seen as negative or offensive until relatively recently. He ultimately gave up the battle, but said he would never change his mind on this issue. “Inclusion Theater” is a term I use to refer to any instance where exceptional energy is being put into presenting an outward PERFORMANCE or APPEARANCE of inclusion or “progressiveness”, while neglecting (or at the expense of), actual meaningful ACTIONS and MANIFESTATIONS of inclusivity or intersectionality. 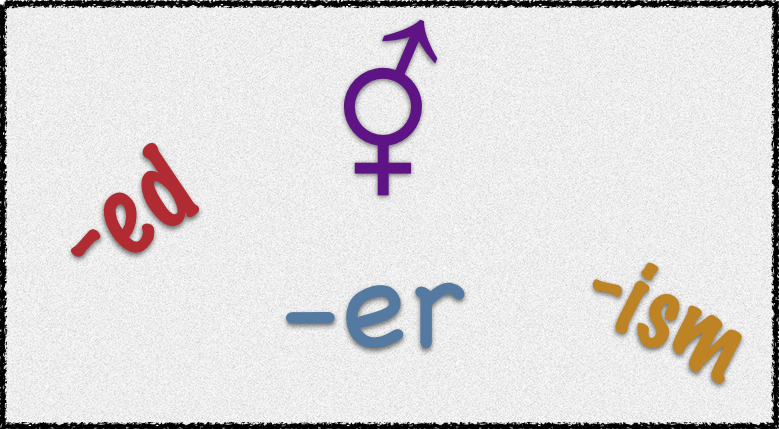 Putting an asterisk on the end of “trans” is INCREDIBLY EASY. A lot easier than actually working towards making spaces, events, projects, organizations or instutions [sic] GENUINELY trans / genderqueer inclusive. I feel this way about correcting people on using words like “transgendered” or “transgenderism.” I will correct this usage in Wikipedia articles and the like, but especially when educating cis people, I’m much more interested in them putting in the work to make trans and nonbinary people safe, welcome, and fairly represented. Restroom use, access to gendered spaces, recognition of trans people of color, and many other issues besides respectful language need to be addressed. Words have power; words are important. But so is action. Trans and nonbinary people need to take the lead both on the words used to describe us and the actions necessary to allow us to lead safe, authentic lives. In doing so, we need to understand the history of our language, and recognize the intent behind the words.